Logo, Graphics and Social Media by Alev. 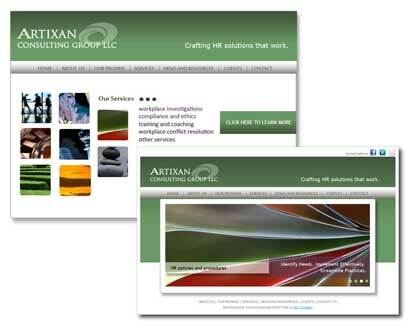 Artixan Consulting Group LLC is new innovative concept in HR solutions. President and Founder, Xan Raskin, provides HR resources and expertise beyond the in-house capabilities of Fortune 500 companies, not-for-profit orgs, and small to mid-sized companies. New business website design, development and implementation. Creative concept, branding, logo, stationary suite, and social media marketing.